1. Tool Build Standard: HASCO,DME,MEUSBURGER,JIS,CHINA LKM Standard. 2. Mould Base: LKM & Hasco & DME standard (A,B plate 1730,2311,2312,P20 ). 5. Material for Slider, Lifter and all sub insert: 1.2767 HRC. 6. Cavity No. : Single-cavity, Multi-cavity. 7. A surface request: EDM & Texture, Sandblast, Polishing, High Glossy. 8. Gate: Cold runner, Yudo / DME / HASCO / Synventive Hot runner. 9. 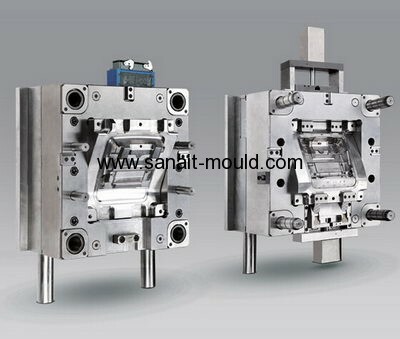 Maximum mould size: 1600*2600 mm. 10. Mould life time: 500000~+1,000,000 shots. 11. Quality: TS 16949; ISO 9001:2008:ISO 9001:2000 certification. 12. Lead time: 4~7 Weeks Or As Per Client Require.